What are Personal Hygiene Life Skills? Do you have a child or teenager that is struggling to learn to complete these skills indepedently? 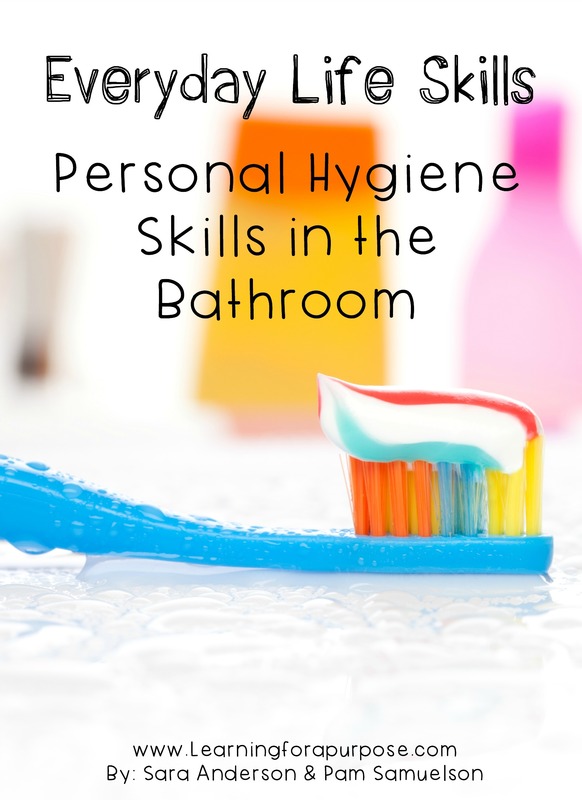 Everyday Life Skills-Personal Hygiene Skills in the Bathroom is the resource that will help make life easier for you and your family! This ebook will provide you with resources that are easy to implement and simple ideas and tips to help your loved ones learn these valuable skills! What is Included in Everday Life Skills Personal Hygiene Life Skills Ebook? Each checklist goes over each specific skill with check boxes with each step to complete the skill and possible sensory tips to help your child learn the skill. Visual Sequencing Cards can be cut out and used to help your child learn each step by step skill. These can be cut out and placed in an order that works for your daily routine! 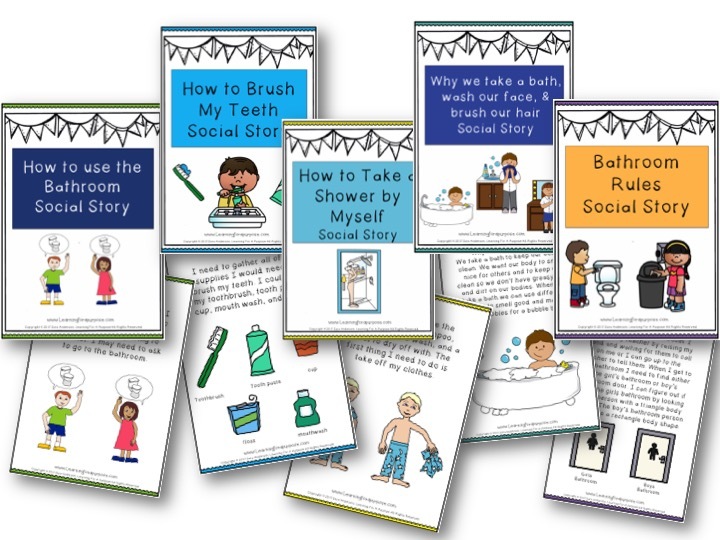 These social stories can be used to help you talk through the specific skills and provide your child with another option of ways to learn these bathroom skills! In addition to what resources were provided above we have provided personal stories, tips and techniques for ways to help your loved one learn these skills as well as tons of information and help with how sensory processsing may affect how your child is having difficulty learning these skills. We give you simple tips and techniques along with personal experinces and advice on ways to help your loved one become more independent with their daily routine. 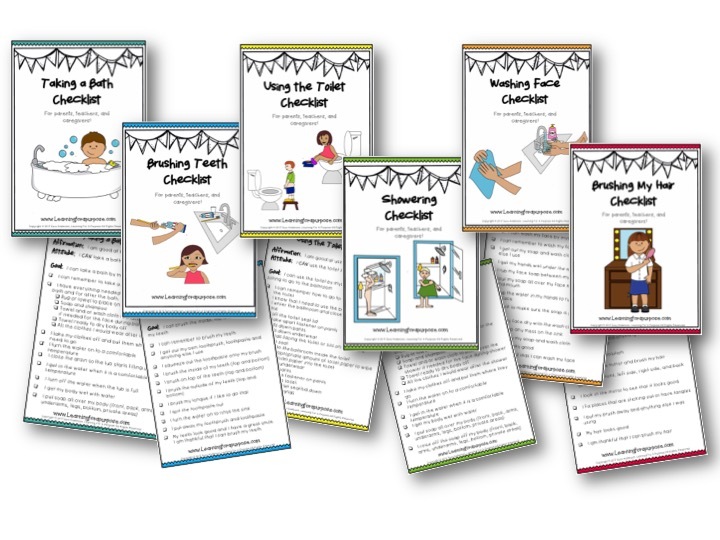 Everyday Lifeskills Personal Hygiene Skills in the Bathroom provides you with over 150 pages of amazing content along with other resources and ideas to help your child/teenager with autism and sensory processing difficulties learn to become more independent with these bathroom skills. This book was designed from the perspecitive of a parent teaching a teenager with autism how to become more independent with these skills, but this book provides so many valuable resources it can be used across multiple settings and for a variety of kids and situations. If you child is having a hard time becoming independent with personal hygiene skills this BOOK IS FOR YOU! This Ebook has so many great resources!! I love that there are so many strategies and techniques to help my child become more independent with bathroom skills! I love the fun and colorful resources! I will definitely give these strategies a try! It makes it so simple! 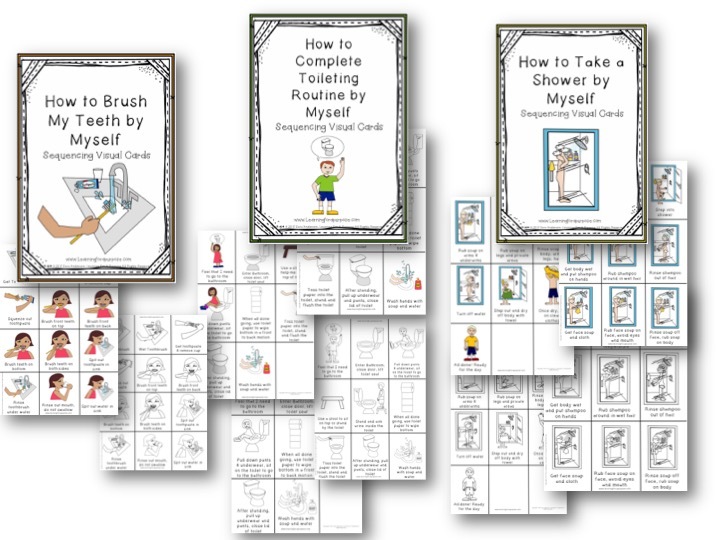 Everyday Life Skills Personal Hygiene Skills in the Bathroom is an eBook, or Digital file, which means you are purchasing a PDF copy. That means you can read the book on any computer or mobile device and print off a copy. This book includes clickable links to relevant resources as well. As a result, this book is best viewed on a computer or mobile device. Please note that there are no returns or refunds due to the digital nature of these products. Everything you need to help teach your child/teenager to become more independent with personal hygiene life skills! Everything is included in this package with the RESOURCES + SENSORY PROCESSING INFORMATION + ADDITIONAL TIPS AND PERSONAL STORIES AS WELL! 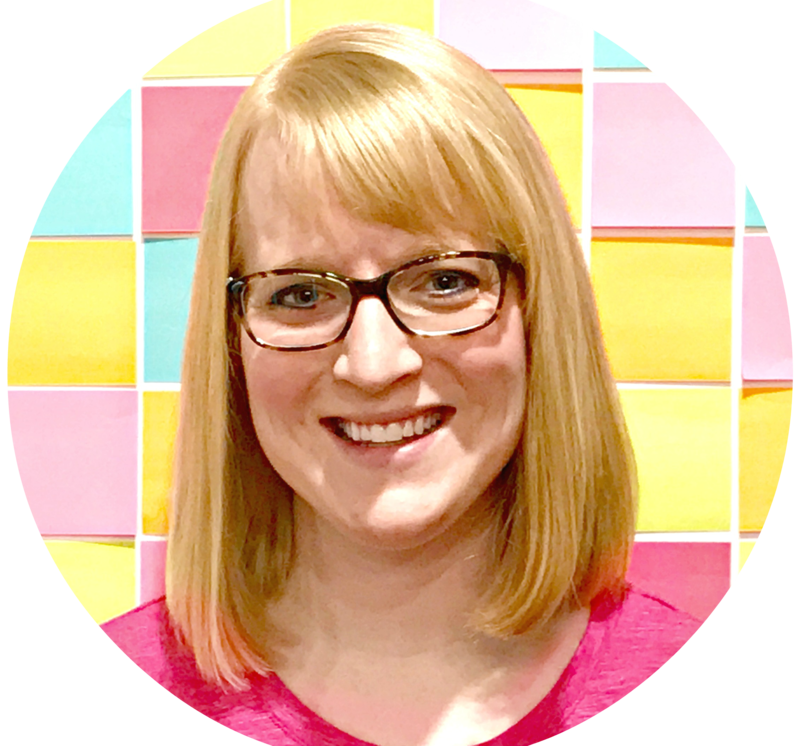 Sara is the one behind creating the blog and currently works as an occupational therapist. She is inspired by her brother to create resources for families with children with autism and special needs to help them reach their highest potential. Pam is the mother and a special edcuation teacher who provides valuable experiences as a parent and a teacher to help provide valuable resources for families. Together they hope to provide valuable resources for families! If you feel that this product would be a good fit for your blog or audience we would love to have you as an affiliate for our products! At a 40% commision rate you can make a GREAT profit! Join the Affiliate Program HERE!